01 July 1942 as "WAXWING" - accounts 'on Books of MERLIN'. Accommodation camp for Naval Air Personnel awaiting draft. The camp lies on the S. edge of Townhill Wood, E of the SE edge of the town of Townhill. 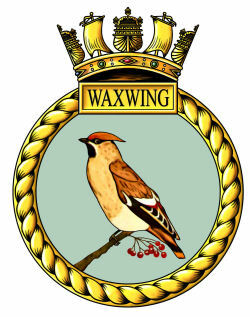 I was born at the Waxwing Camp in Townhill but have no records or photographs of the site. I have traced my Fathers Family Tree back to the 1760's and wish to add further information. Both my parents passed away many years ago.